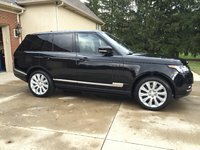 CarGurus has 7,731 nationwide Range Rover Sport listings starting at $3,795. Taking its popular Range Rover sport-ute concept into the high-performance realm, Land Rover once again offers its Range Rover Sport for the 2015 model year. This midsize 5-passenger SUV remains an engaging bushwhacker on or off-road, delivering standard 4-wheel-drive (4WD) traction, supercharged power, plenty of bells and whistles and, of course, a third-row-seat option that remains, alas, strictly for kids. For 2015, the posh-packed Range Rover Sport has added a new high-performance trim to the lineup. 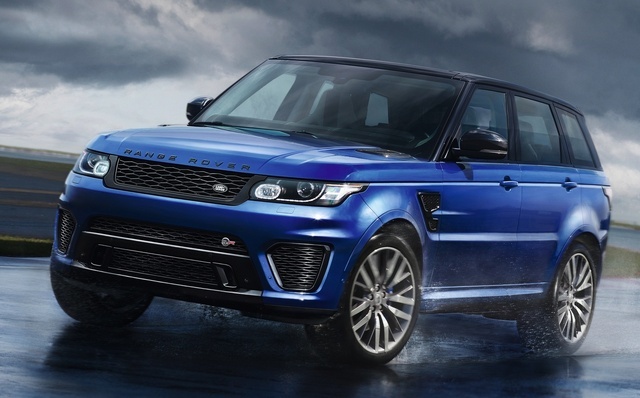 The uber-sport-oriented SVR now joins the returning Base (aka the SE), as well as the up-featured HSE, the V8-powered Supercharged and the once-top-shelf Autobiography in rounding out the Range Rover Sport stable. Furthermore, the HSE and Supercharged trims can be delivered in available Limited Edition sub-trims, while you can drive the Autobiography off the lot in its available Long Wheelbase (LWB) version. Oh, and should you spring for the new SVR, be advised that no third-row seating option is offered with this top-shelf trim. Additional upgrades for 2015 include the installation of Land Rover’s InControl Apps for Smartphone connectivity in all trims, while an optional Driver Assistance Package boasting lane-departure warnings and a self-parking system boasting 360-degree parking sensors also debuts in the upcoming model year. Finally, all Range Rover Sport variations will henceforth sport HD Radio and satellite radio as standard equipment. As mentioned, the Range Rover Sport again comes with standard 4-wheel drive (4WD), but there’s the traditional twist. The Base and its up-featured HSE sibling each get a standard light-duty 4WD setup with a single-speed transfer case. The Supercharged and Autobiography trims, along with the debuting SVR, meanwhile, all tote a traditional 2-speed transfer case as standard equipment, with said upgrade remaining optional for the lower trims. Further, Land Rover’s touted Terrain Response system, featuring driver-selectable modes for various types of terrain, is standard across the lineup, while available Terrain Response 2, with an auto-select feature that automatically adapts to various off-roading challenges, can be added to those trims toting the high-low 4WD gearing. Standard appearance accoutrements, depending on the selected Range Rover Sport trim and in addition to those 2015 upgrades, include, 19-, 20- or 21-inch alloy wheels, a panoramic sunroof, LED running lights, heated power mirrors, adaptable suspension components and, in the Supercharged and higher iterations, adaptive suspension dampers with roll stabilization. Inside, again depending on the chosen trim, look for leather upholstery, heated power-adjustable front seats, cruise control, power-adjustable telescoping tilt-wheel steering, dual-zone or tri-zone climate control, front and rear parking sensors, a rear-view camera, an auto-dimming rear-view mirror and memory for driver's settings. Standard techno-goodies in lower trims include, besides the new InControl apps connectivity, Bluetooth hands-free calling, a hard-drive-based navigation system and, in lower trims, a 250-watt Meridian sound system with CD player, 8 speakers, new-for-2015 HD and satellite radio, voice control and USB ports, all interfaced with an 8-inch touchscreen display. Higher trims offer such standard extras as a heated steering wheel, steering-wheel-mounted paddle shifters, a surround-view camera system, upgraded audio components with 11 additional premium speakers and a front-console cooler. Oh, and cargo area in all trims remains a rather unimpressive 62.2 cubic feet with the rear seatbacks folded. The just-introduced Range Rover Sport SVR, furthermore, also sports such added goodies as a sport-tuned suspension and sport front seats along with some tighter transmission programming. Options, meantime, include the new Driver Assistance Package for all trims except the Base, while lower trims once again remain eligible for many of the added features that come standard in higher trims as optional equipment. Power, you ask? Again for 2015, Range Rover Sport Base and HSE trims each pack the standard 3.0-liter supercharged V6 engine managed by an 8-speed shiftable automatic transmission to the tune of 340 hp and 332 lb-ft of torque. Look for 17 mpg city/23 highway out of this peppy 6-banger. Moving up the spectrum, all other trim variations sport a 5.0-liter supercharged V8 powerplant, also with the 8-speed shiftable automatic, but again, there’s a caveat. The Supercharged and Autobiography trims boast 510 hp and 461 lb-ft of torque from this engine, while the brand new SVR totes a tweaked version of both the V8 and the 8-speed automatic. Look for 550 hp and 502 lb-ft of torque out of this ultra-performance version. Mileage remains estimated at 14/19 from the un-reworked V8, while the SVR’s figures are as yet unavailable but doubtless won’t be pretty. Meanwhile, all trims boast standard hill-start assist and descent control, along with auto engine stop/start technology that shuts down the engine at a stop and automatically restarts it when the accelerator is depressed. Towing, by the way, is maxed out at 7,716 pounds with the proper equipment. Safety-wise, all 2015 Range Rover Sport variants are delivered with standard 4-wheel antilock braking (ABS), front side-mounted airbags, and front and rear head airbags, with those trims carrying the available third-row seating also gaining an extra set of head airbags. Turn-signal-integrated mirrors and a post-collision safety system also come standard across the Range Rover Sport lineup, as does a remote antitheft alarm. Blind-spot warnings and rear cross-traffic alerts, meantime, also remain standard in upper-level editions. What's your take on the 2015 Land Rover Range Rover Sport? Users ranked 2015 Land Rover Range Rover Sport against other cars which they drove/owned. Each ranking was based on 9 categories. Here is the summary of top rankings. 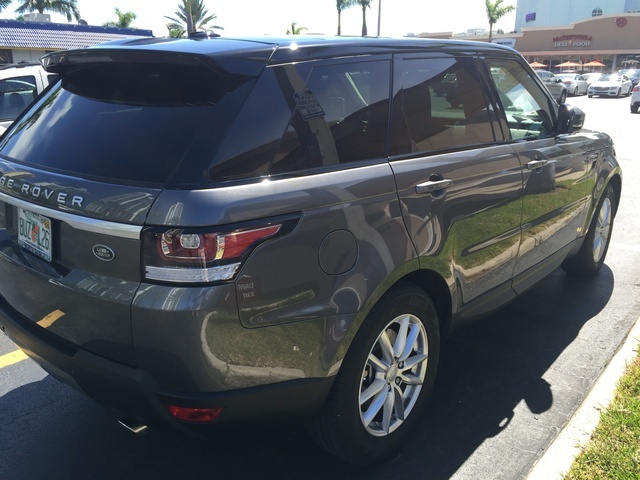 Have you driven a 2015 Land Rover Range Rover Sport? Safe To Buy Cars On Car Guru? How can I make sure what I am buying through car gurus is a safe transaction. Is there any warranty/money back period of time using car gurus? in search now, how do I search it in your menu? Range rover sport? Do You Sell Range Rover Sport 2015 Black To Kuwait ? I am in Kuwait and looking for a secondhand 2015 range rover black edition. I am wondering if you sell cars and deliver it to Kuwait ?! want cirrus interior only but do not see a selection for that. I'm having to look at every car.